John M. Wallace, Jr. is Professor, School of Social Work, Katz School of Business, and Department of Sociology, Dietrich School of Arts and Sciences. 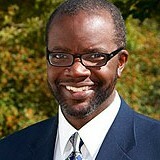 His research examines the impact of religion as a protective factor against adolescent problem behavior; racial and ethnic disparities in substance abuse; and the role of faith-based organizations in the revitalization of urban communities, through the provision of social services, economic empowerment activities and community development. He is the principal investigator on a five year project funded by the Skillman Foundation to evaluate it’s “A Call To Service” (ACTS) faith-based initiative and is a co-investigator on the University of Michigan’s on-going national study of drug use among American young people, “Monitoring the Future”. Dr. Wallace’s research has appeared in numerous professional journals, books and monographs including Social Work, the American Journal of Public Health, and the Journal of Studies on Alcohol. He earned his Ph.D. in Sociology from the University of Michigan.